I was speaking at a women’s meeting about personal finances and a young woman, about 35 came up to me and ask me what are “personal finances”. I was really shocked since being there meant that she was in some way affiliated with a business she owned. She looked me in the eye with a very serious face. I pointed to her and said “your – personal – finances”. 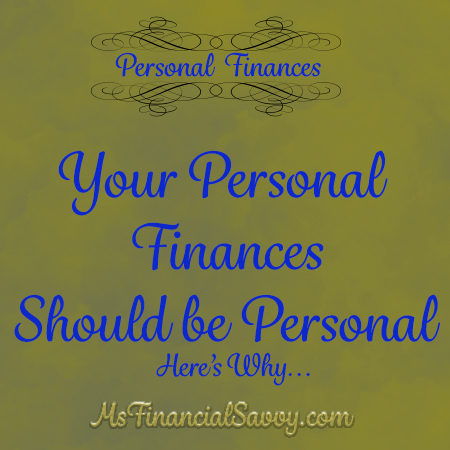 Your finances that you take very personal. You monitor, you manage, and constantly improve your finances yourself, even if you have help. It’s crucial that you understand your own finances. It seems like it would be common sense to understand the term personal finance. But, the definition seems to elude some of the most intelligent, and highly successful people. The proof is in the finances of many. The workplace embezzlements of high-level employees, the bankruptcies of high-income people, the general personal finance mismanagement of people which becomes evident when they lose a job and lose all or most of their assets due to mismanagement. 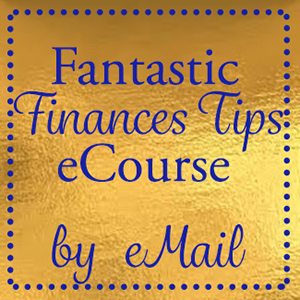 Take your finances serious – don’t randomly spend money. 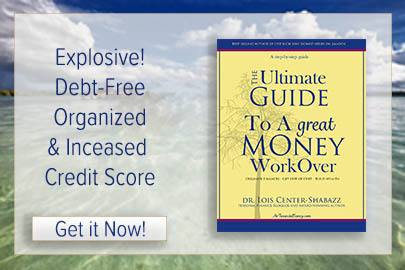 This is the most important aspect of personal finances. Some folks act as though the money they have in their checking account belongs to someone else, so they spend it until it is gone or before all bills are paid. Then they go to the credit cards, when those run out, they go to others to borrow money and make up the difference. Then they lose relationships, which is can be more serious than wasting their money. Keeping track of your spending is getting very personal with your finances. Most people don’t understand how fast money goes when it is spent randomly. You can see this also when you charge on credit cards the balance escalates rapidly. A major aspect of getting personal finance maintenance is paying cash as much as possible unless you use a credit card for points and you have the money and discipline to pay off the balance once a month. With frequent credit card use, many tend to lose track of spending, and their finances become very impersonal. 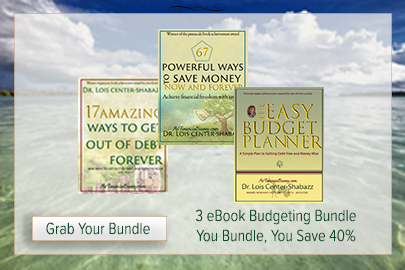 I talk to people all the time who tell me they thought they were budgeting until they read many of my budgeting articles and the advice I give on budgeting. My program includes guerrilla budgeting. With all the distractions, we have – advertising – expensive products – overpriced cars and high maintenance homes- getting personal with your finances means that you must create a guerrilla budget to survive no matter what your income. Some folks think all they must do is make more money until they find out they spend more for things and get more expenses, so they are either in the same place or worse financially, as income goes up. They realize the problem is they did not get personal with their finances. great post, i’m late to the game but working tracking my spending and creating a budget now and i totally agree, personal finances should be personal…thanks for the post! Thanks for this. I really need to track my spending.